The 2018 Foxton Art Exhibition is nearly here and please see below for the poster. I shall have a few artworks in the exhibition as well as some cards. 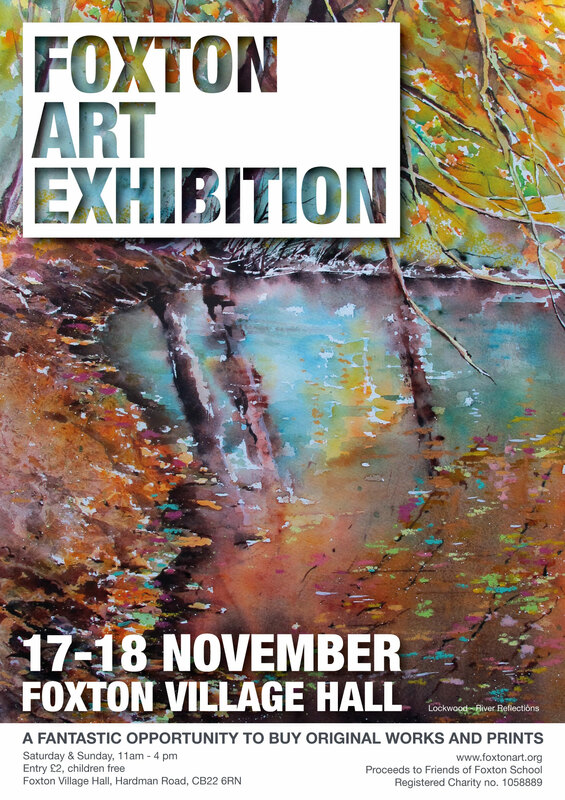 This is an extremely well-run and beautifully laid out exhibition for both amateur and professional artists in the Cambridge/North Hertfordshire area and the excellence of the artwork is second-to-none. Do get along if you can, and enjoy some very good work at very reasonable prices.